Hop off the treadmill without losing career momentum! Do you remember leisure—fondly? Do you remember when there was time to stop and smell the flowers and to evaluate what was really worth doing? 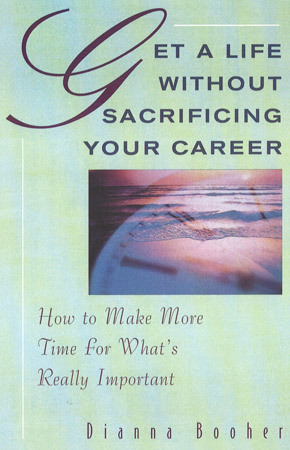 Get A Life Without Sacrificing Your Career is NOT just another guide to cramming ever more activities into an already packed schedule. With inspiration, wisdom, and enthusiasm, Get A Life Without Sacrificing Your Career treats time as the profound gift it is. In the book, internationally recognized communication expert and bestselling author Dianna Booher gives you practical suggestions for handling the complexities of life and finding real satisfaction.